Wildlife workers and conservationists in Nairobi National Park are busy rounding up eight black rhinos. They're set to be transported around 325 kilometres to a new sanctuary established in Tsavo East National Park. 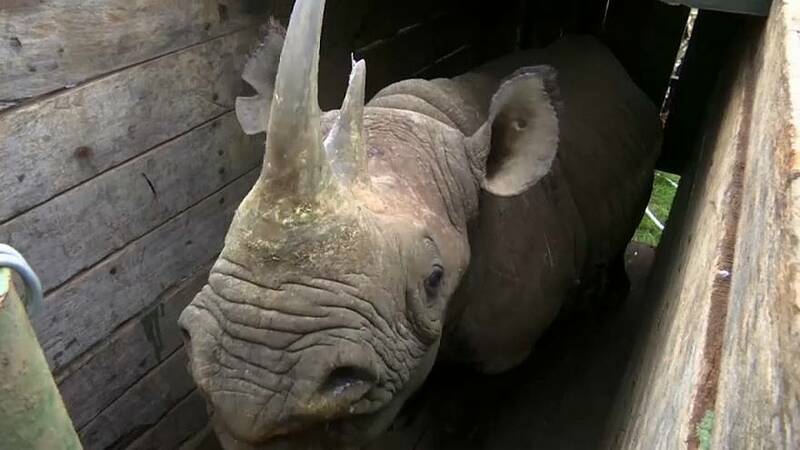 As part of the process, the rhinos are being fitted with small tracking devices in their horns, so conservationists can monitor the endangered animals. There are thought to be around 5,000 alive today, meaning the black rhino still has a 'critically endangered' status.